Toward evening during the summer months, when the sun is just beginning to fall, we will see barn swallows careening and dive-bombing after insects in our yard. It is nice to watch them and their antics, but they also serve a great purpose, they do keep our insect population down. However, though I do enjoy their dive-bombing antics there is one habit that can be a nuisance and that is their "messy" nesting habits and their protective attitude toward their eggs. Is there anyway to co-exist with these birds? Possibly. 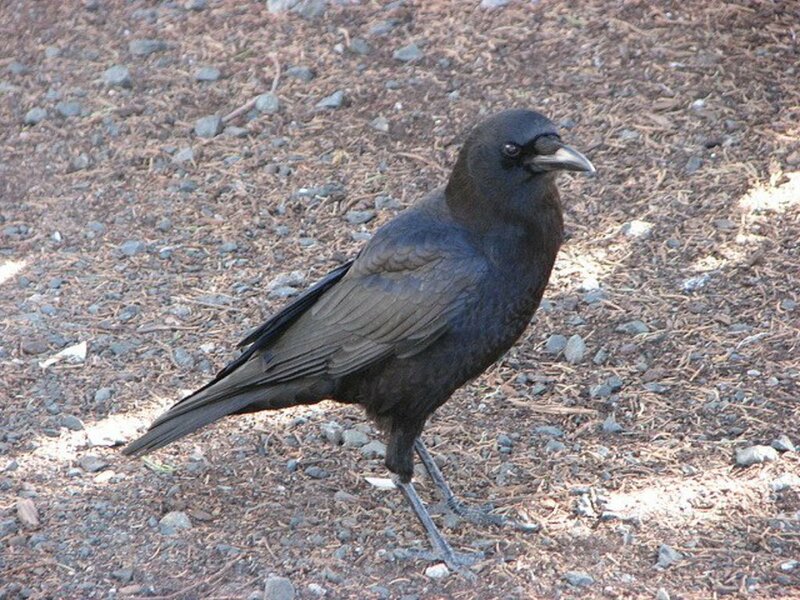 But before I get into co-existing with these birds, it is important to be familiar with the bird. The barn swallow is the most abundant and widely distributed bird in the world. It is small and slender, with a long, forked tail. 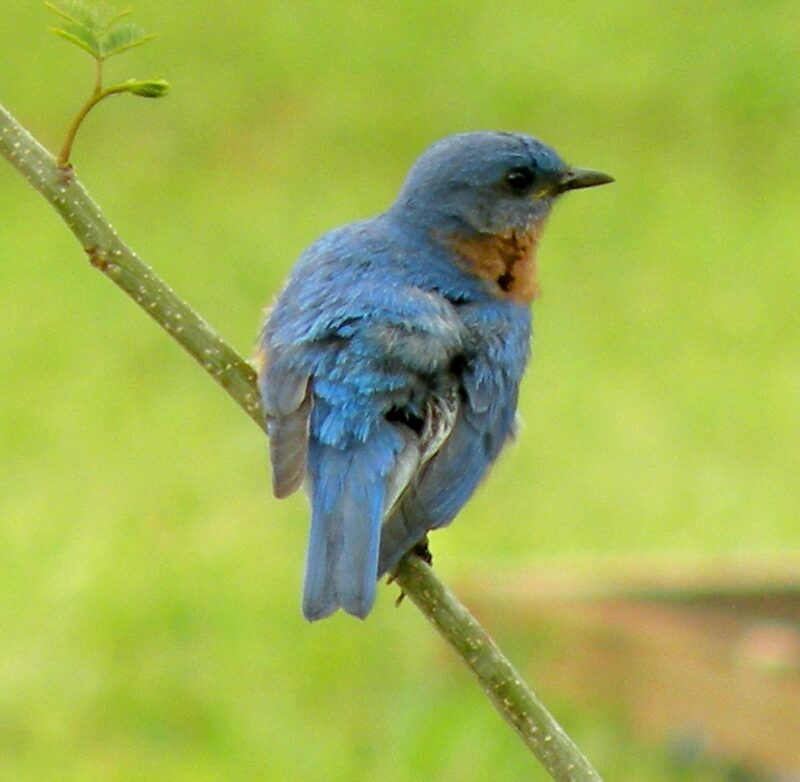 Its upper-parts are steely blue, with the underparts a reddish-brown. The female is similar to the male only slightly duller with a shorter tail. The color and symmetry of the tail of the male is extremely important to the female. 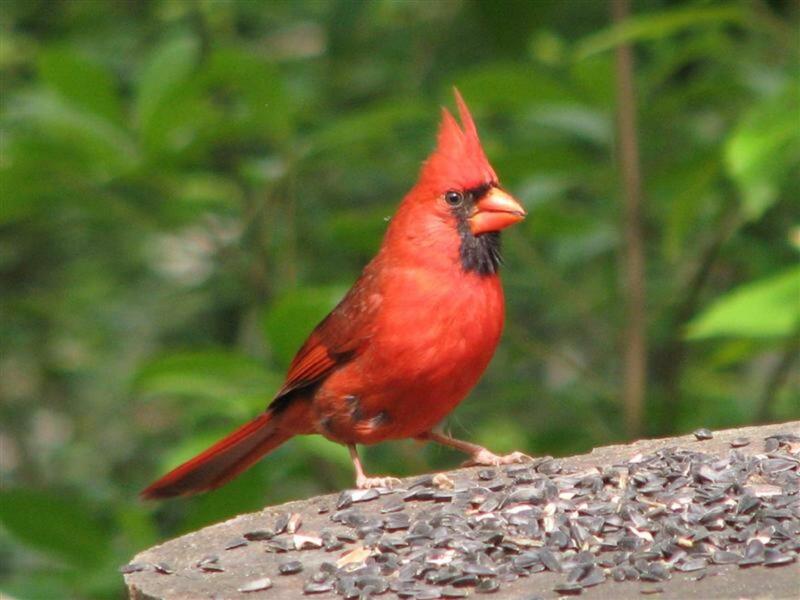 Females seem to prefer males that have a darker reddish chest color, with a long tail that is of the same length on both sides as their mates. Why? It is thought to be an indicator to the female of the health and fitness of the male. 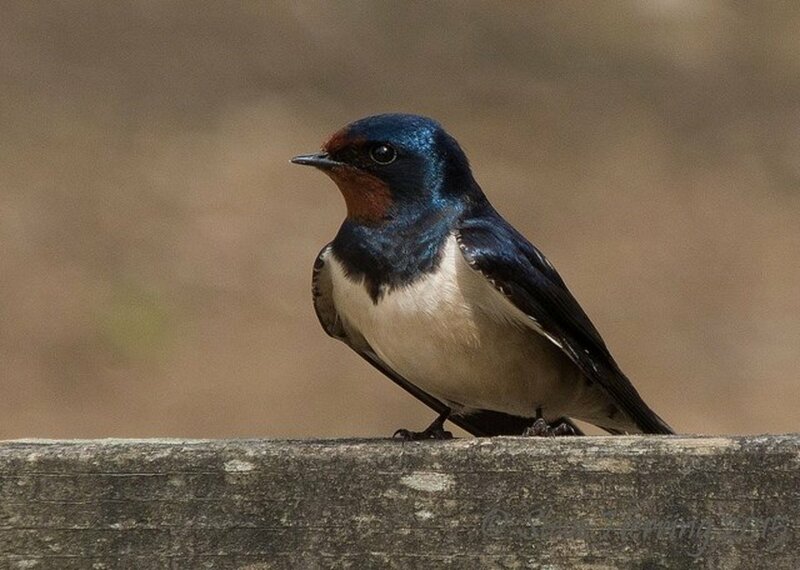 The barn swallow's original habitat was mountainous areas, seacoasts with caves, and hollow trees for nesting. However, with human sprawl, the swallow has had to adapt, which it has done quite nicely. It now makes it home in suburbs, along highways, culverts, bridges, farm barns, and under the eaves of houses. Today, these birds only need to have a ready water source, a place to construct a sheltered nest and an ample supply of food to call a place “home”. You can see barn swallows either in the early mornings or before night-fall, dive-bombing over fields and in neighborhood yards foraging for insects. 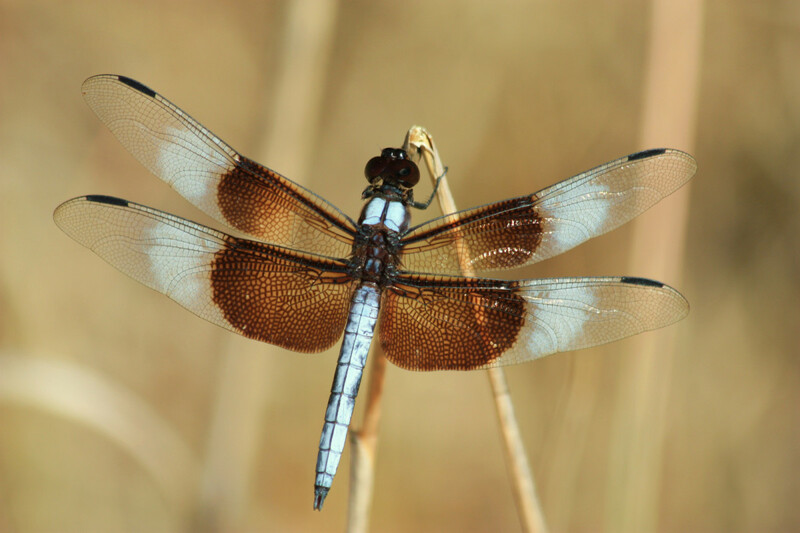 They will dive and weave through the air like acrobats, and with their mouth slightly open, catch and eat the flying insects. Though their diet consists mostly of flying insects and dead insects, they will on occasion eat berries and seeds. You may think of a barn swallow only as a North American bird, but this is not always the case. Swallows will take up residence in North America only during their breeding season, then during the non-breeding season (which is winter), they will migrate to Central and South America. Shortly after the swallows arrive at their summer residence, they will find a mate and begin building their nests. Both the male and female will painstakingly gather small globs of mud, with grass, hair and feathers to build it's nest securely against a vertical surface. The nest will take from six to 15 days to construct, with the result being a deep, cup-shaped structure that is open at the top. In many cases, the swallows will come back to the nest to breed over several seasons, only putting new mud on the structure to keep it strong. During their summer stay, they will have two clutches. The first clutch will have on average five eggs while the second clutch having only four eggs. Both male and female will incubate the eggs, with the young appearing in about 13 to 15 days. Once the young are 12 days old, they will keep the nest clean by backing up to the edge of the nest and defecating over the side. This is why many people consider the birds “to be messy”. After the nesting season is over it will be time to make their migration to warmer territory. The barn swallows will gather around a water source, where they will form flocks ranging from 100 to 1000 birds, and fly to warmer territory. A male swallow will kill the nestlings of a nesting pair, with the sole purpose of having the opportunity to mate with the female. Swallows bathe by flying over a pond and dipping into the water without stopping their flight. The feces of the swallow can cause a disease called salmonella, which is a threat to animals. When summer comes, us humans enjoy being able to sit out on one's porch with a cup of coffee or a cool drink and just enjoy the moment. However, two dive-bombing swallows making a nest can quickly disrupt that tranquility. Many have had this problem, and I have to include myself with the many. It is important you catch the problem early so you can get control of the situation without much trouble to you or the bird. Here are some helpful suggestions. 1. 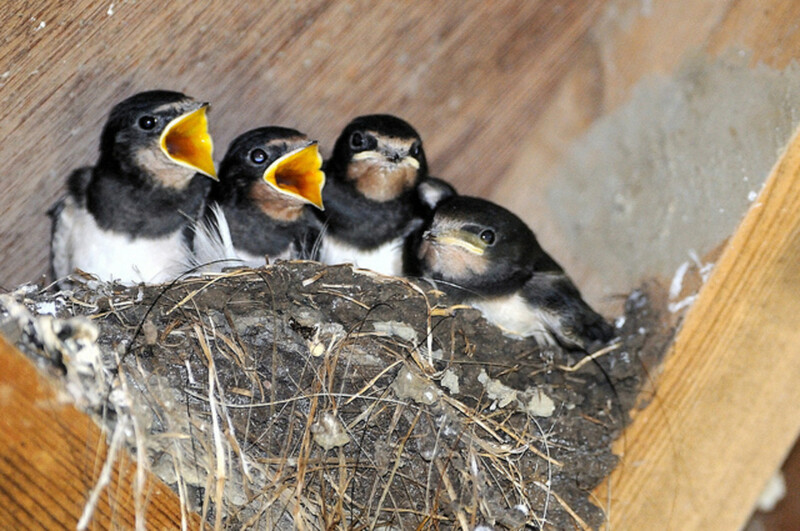 If you do not want a swallow making nests under the eaves of your porch or house you will have to keep a watchful eye out for them, beginning in mid April when swallows begin to mate. Once you see them darting around the eaves look for the beginnings of a nest. If you find a nest under construction take a water hose to break it up. You may have to do it several times, because they are persistent birds. If they do get the nest built under the eaves of your house, be forewarned, they are extremely protective of their nesting area. 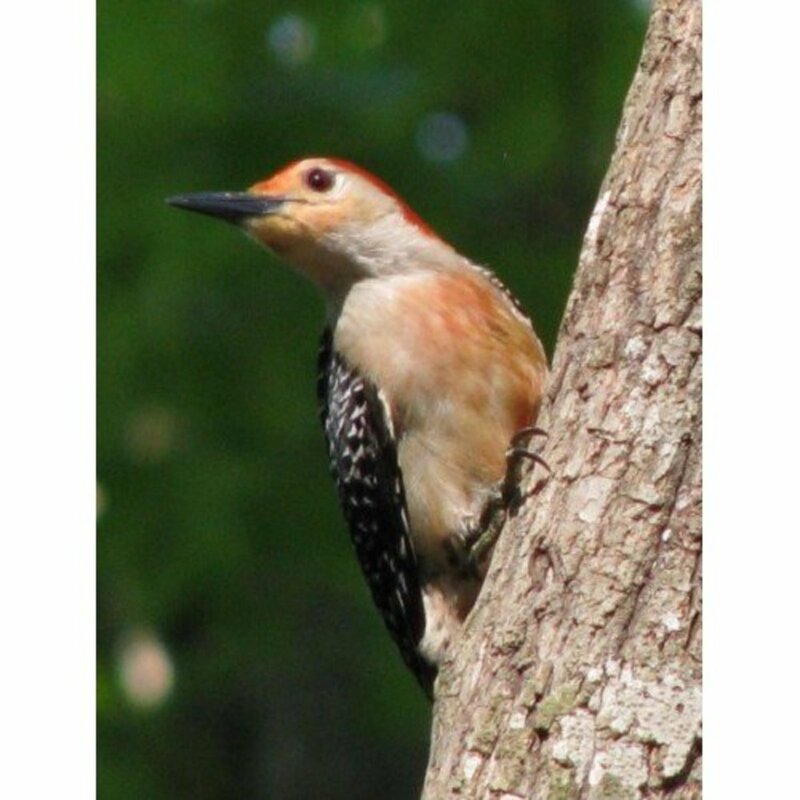 They will come swooping down at you, chirping and dive-bombing you from what will seem like every direction. Yes, I experienced this even during the building stages, and trust me, it is not fun. They knocking down the “under construction nest” with a water hose in hand, while dodging these dive bombing maniacs. Not fun at all! Thus, it is important to catch the birds in the building process because once the nest is built, you may find your porch unapproachable for about 20 days. Why? It takes twenty days before the young finally leave the nest. 2. You can hang a plastic hawk or owl on the porch. These are natural enemies of the swallow. 3. If you know where the birds nest, you can cover the area with netting or chicken wire. 4. You can use a bird deterrent like Tanglefoot. Tanglefoot is a sticky gel that you can put on surfaces where swallows usually nest. The birds will look for another nesting location because they do not like the sticky gel on their feet. (This is just one sample of a sticky repellent that can be used to deter unwanted bird nesting.) I'm not one to use this sticky repellent because I like the fact that they eat a variety of insects, which include mosquitoes, grasshoppers, flies, dragonflies, crickets and other flying insects. To conclude, these natural insect exterminators give their services at no cost. The only problem you will have to deal with is finding a nice place for them to nest, which many times can be solved with an opened-faced birdhouse with a roof that is located away from your house.